An exciting opportunity has arisen for an inspiring, motivating and engaging lead gymnastics coach to join the team. Our progressive, popular recreational gymnastics programme starts with parent and toddler sessions through to our own junior coaches. Sessions are non-stop, exciting and challenging at every stage, with an emphasis on encouraging each and every child to maximise their potential within the sport. We are looking for a replacement lead coach to ensure delivery continues at the highest level. If you have bags of enthusiasm, energy and can inspire and motivate 3-18 year olds whilst maintaining calm and control of the session, we're excited to hear from you. 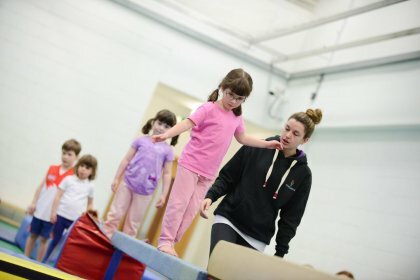 We require you to hold a Level 2 British Gymnastics Coach qualification as a minimum.